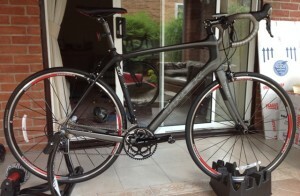 This is the second in a two-part account of my search for the perfect bike fit. So far in this epic quest (which you can read about here), I discovered that my trusty Dawes did not fit me at all, that bike frame sizes bear very little relation to the size of the person riding them and that spending a large amount of money on a new bike is a lot easier when you have an expert telling you to. After much talk of potential new bikes and having a bike fit, I’ve finally got round to taking some positive action. Ooo-rah! If you’ve been following this blog for a while, you’ll know that my training efforts have been hampered by a recurring knee injury (and a general lack of structure, focus, etc). I knew that part of the solution would be to get a proper bike fit, but had shown a distinct lack of motivation to go ahead and book one. I followed that advice to the letter. And then bought a bike as well. Whoops. Hurrah! Er, pardon, wood? Surely no-one makes bikes out of wood any more. But, of course, they do. And not just the sorts of people that make dresses out of meat (fireplaces out of cheese, whatever…). 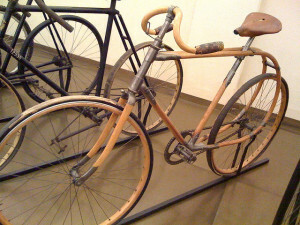 Wood is an entirely viable, albeit unusual, material out of which you can fashion a bike. This post is the fifth in a series that looks at frame materials, and how they are used to build bikes. If you missed any of the earlier ones, they can be found in the ‘Frame Materials’ section of my dedicated page: How To Build A Bike. If you read my post about how bike gears work (if you didn’t, you can find it here), you may recall that I discovered that there was more to the subject than could be covered in a single outing. It turns out (because, yes, sometimes I write these introductory sections AFTER I’ve written the body of a post), that there are many interesting things* that you can say about each of the components that form the drive train of a road bike. Welcome to the third post in my series looking at the materials used to build bike frames. In this post we’re going to look at the metal that my superhero alter-ego would have his balls made out of: titanium. And on that bombshell (egg-shell), we should probably move swiftly on…. Read moreHow Do Strava and MapMyRide Determine Cycling Climb Categories? Last week it was my birthday (34th). 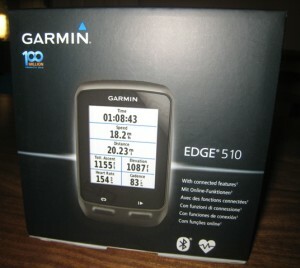 I was lucky enough to receive a Garmin Edge 510 as a present from my wife. It would have been spectacular if my wife had selected the Edge 510 without any assistance, or if she had purchased it as a result of reading my Which Bike GPS post. Read moreGarmin Edge 510: What’s In The Box? Gears are a pretty fundamental part of the modern bicycle. In fact, as the handlebar-moustache-sporting, Victorian gents amongst you will know, the introduction of gear rings and chains spelt the end for the Hi-wheel (the Penny Farthing to you and I) and other direct drive bicycles. By varying the size of the chainring at the front and the sprockets (or cogs) at the back, cyclists could generate greater speeder without having to spin the pedals at ever-increasing RPMs (or balance precariously above gigantic front wheels). 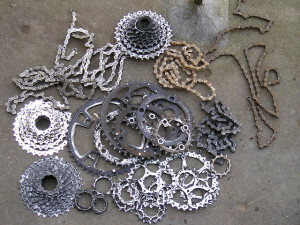 In this post, I’m going to give an introduction to bike gears. 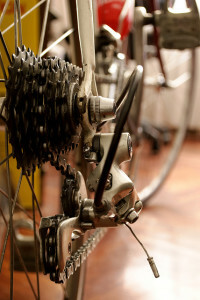 Since this is a blog about road cycling, I’ll stick to talking about derailleur gears (i.e. 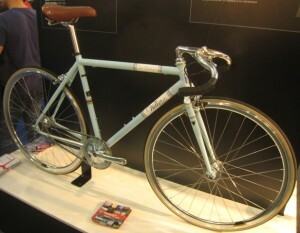 the ones seen on road bikes). Conveniently, this means I can avoid having to admit that I really don’t understand how hub gears work (what? ah…). Welcome to the second in my series of posts on the materials used to make bicycle frames. Readers of my previous article (which you can read here) will no doubt have been shocked, intrigued and ultimately delighted by my razor-sharp insights into the world of steel manufacture. Now it is the turn of the young pretender to the throne: carbon fibre. Most people with any interest in bikes will have at least a passing familiarity with the materials that are used to make them. 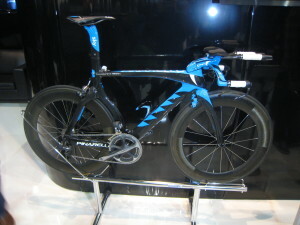 The sculpted, wind tunnel-honed lines of pro peleton bikes are unmistakably formed from carbon fibre. The skinny road bikes of old evoke images of bespectacled engineers in oil-stained overalls, squinting at steel tubes in complex jigs. 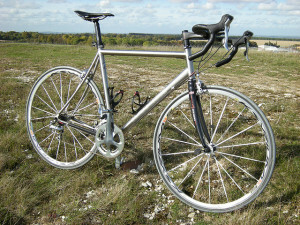 But do you know how these materials are used to make bikes that meet the needs of cyclists in the 21st century?